The proverb “write what you know” goes beyond simply citing your own experiences. It requires you to take what you learned, find useful insights from them, then come up with interesting presentation ideas to use, both for visuals in your presentation designs or content for your script. Doing this gives you an advantage, especially for sales and business presentations. In fact, citing quarters when your business scored high sales, or satisfied customer testimonies are a great way to lend credibility to your pitch. There are three crucial reasons why writing from experience can give better presentation ideas for your professional PowerPoint deck. According to creativity mentor, Luke Sullivan, the most obvious benefit is that you quickly build your credibility as a professional presenter. This is a common tactic used by advertising agencies: Use incontestable facts. Citing facts like a proven 30% increase in sales, or a documented average cost reduction of 15% go a long way in helping your business presentation cut across the competition. As long as you have the facts to back up your claims, you have a higher chance of offering something your competition cannot. An appeal to common beliefs and shared experiences is a great way for presenters to connect with their audiences, both on an emotional and rational level. Giving a presentation that’s relevant to their current problems and expectations is an effective way to show them that you’re serious about helping clients as a professional business partner. This audience-focused approach shows that you’re someone who understands what they’re going through, and are willing to help them. This can be done with both a well-practiced speech and a visually supportive PowerPoint deck. As Jim Aitchison suggests in Cutting Edge Advertising, when connecting with your audience, make sure that your presentation ideas use insights into human behavior. The key to getting the most out of writing what you know is to use relevant experiences that you remember as a source of content for your speeches. The twist is that you need to take these insights and present them in an unfamiliar way through effective visuals and content. Brand communications expert, Carmine Gallo explains that in the same way recruiters ask for references, your audiences will always look for success stories. This is why TED speakers are often successful whenever they give their talks. Writing their speeches from the experiences they know, including visuals to illustrate those times and sharing the lessons they learned are critical elements to making a convincing presentation. The same process applies to a business presentation. Clients will need to know that you have proven your success, or at least, can show that you can, to invest in your proposal. If you can supply that proof, you’re one step closer to winning that pitch. Experiences always lead to interesting ideas. 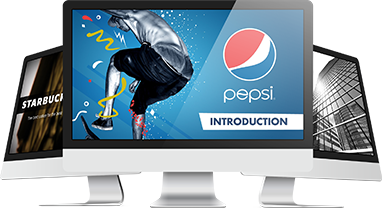 Making them compelling enough to invest in is the reason why professional presentation design specialists exist. Once you have a great idea from your business’ experiences, try taking time to get in touch with us, all for free! “Ad Agency Tricks: Outsell Competitors in Sales Presentations.” SlideGenius, Inc. 2015. Accessed August 12, 2015. Aitchison, Jim. Cutting Edge Advertising: How to Create the World’s Best Print for Brands in the 21st Century (2nd Ed.). Singapore; New York: Prentice Hall. .
“Communication Skills: Persuasion, Audience Analysis.” The Total Communicator. Accessed August 12, 2015. Gallo, C. The Presentation Secrets of Steve Jobs: How to be Insanely Great in Front of Any Audience. New York: McGraw-Hill. .
Sullivan, L. Hey, Whipple, Squeeze This: A Guide to Creating Great Ads (3rd Ed.). Hoboken, N.J.: John Wiley & Sons. .